Another exciting month which surprised me again. Even though the traffic wasn’t much, my income was at a reasonable level. And, this is why I urge all of you out there who are thinking about blogging, that it is possible to make money by blogging. I was doing a lot of background work last month like updating my pins, writing more newsletters and working on SEO (this is a long-term game, so I don’t expect to see immediate results). 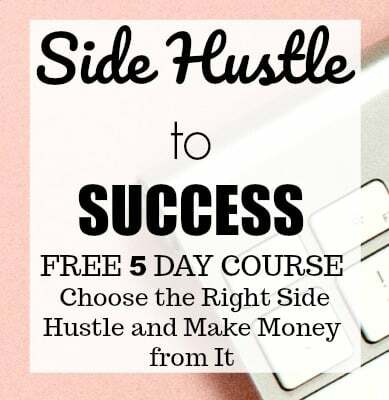 I have been a side hustler for a very long time, and blogging is definitely worth my time because my top priorities for any side hustle are flexibility and income. If you are thinking of starting a blog, just do it. I took the leap and started my blog, and now I am making significant income from it. It took time and hard work, but it is all worth it. I have a super easy step-by-step guide to start a blog even if you are not a techie. So, go ahead and start your money-making blog. Ready to dive into the details? Let’s do it. The page views took a dip in September. Many of my blogger friends have had a similar decrease in page views which was mostly due to the back to school time of the year. On the brighter side, the bounce rate is going down, and my returning visitors are growing which is great news for me. To decrease the bounce rate further, I will be having more inbound links (which is good for SEO as well). I am looking forward to the last quarter as this can be a period to see good traffic and income. Ready to hustle! I am VERY excited about this. I have been focusing a lot lately on growing my email list; I am happy to see how fast it is growing. I know increasing your subscribers can be a challenging task for many new bloggers. If you give useful and targeted content to your audience, then they can become your loyal subscribers. 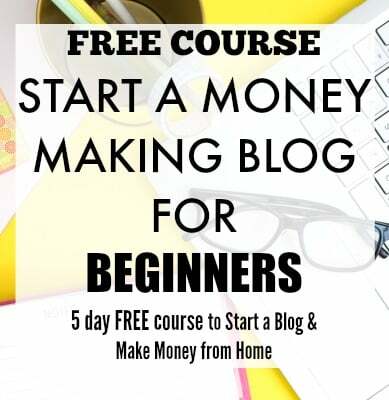 Another reason my list is growing quickly is because of my free blogging course, and it has given me some FANTASTIC results! I never realized that sharing my journey, and my results could help so many newbie bloggers. I still highly recommend blogging as a work-at-home option for the amazing results it can give you. Pinterest growth was super slow last month, but that did not deter my backend work on this social media channel. I did a lot of work like updating new pins for old posts, creating new boards, working on pin designs and pinning less than usual. I am going to work towards growing my followers, though I do not measure my traffic with the number of followers. If you are new to my blog updates, then you need to know that I pin manually following these strategies. And I cannot recommend it enough. I have been testing ads on Facebook, and I still need to get the hang of targeting the right audience. Otherwise, my followers’ growth has been good on Facebook. It is always important to figure out what your audience wants to read when sharing posts on any social media platform. I am still working on growing on this social media channel but very slowly. As I always say, I don’t believe in working on all the social media channels. But for now, I am sharing a lot of others’ content on Twitter. Though working on all the social media platforms can be overwhelming, I love Instagram. It’s visually appealing content has always intrigued me (I am a die-hard fan of photography). 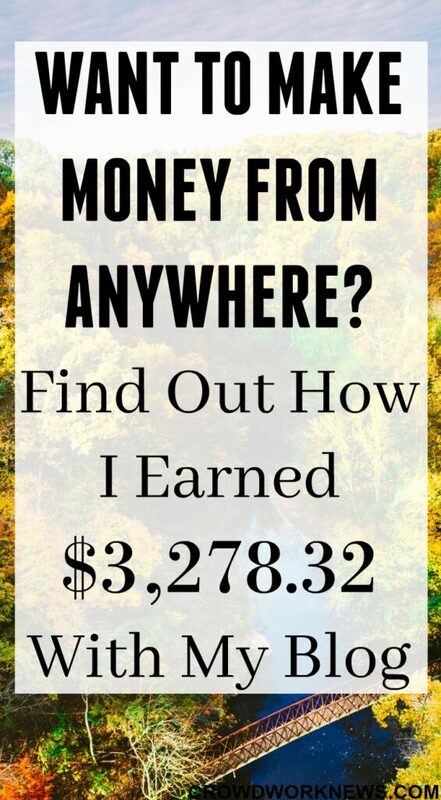 I also know that many earn a significant income from Instagram alone (possibly another side hustle?). If you are like me, then let’s be Instafriends. Now, let’s see how much my blog earned last month. In spite of slow traffic month, I made $3,278.32 and 90% of it was through affiliates and the rest was through display advertising. The numbers are comparatively low than last month, but I am happy that they are still great for the kind of traffic that I got last month. The reason for this is partly because of my email list. Growing my email list has been giving me great results regarding income, and I would suggest you take your list seriously from day one of your blogging. If you are new to my blogging income reports, then the number one reason that I give credit to my income growth is due to Making Sense of Affiliate Marketing course. I know there are many blogging courses out there, but if you want to focus on affiliate marketing to generate income from your blog, then this is the course that you need. The Facebook group that you get to join as bonus for this course has been a goldmine for anything and everything about blogging. I usually focus on other areas of blogging like creating more freebies, working on SEO or tweaking my blog design during low traffic periods. I believe it is a better time investment instead of worrying about the page views. As I am constantly in search of work-at-home opportunities and side hustles, I am researching the web and digging out the legitimate options most of the time. I am working creating another exciting work-at-home freebie for all my readers. I have also been sending more emails to my list to give them more useful content and some authentic options to work from home. I switched from HTTP to HTTPS last month. Here is a detailed article about why you should switch as well. I love including this part in my blog updates. Blogging is a constant learning journey, and I like to share what worked and what didn’t with my blog, so you can avoid making those mistakes. The number one thing I would tell anyone who has just started blogging is to have a plan to grow your list. And, this can be beneficial for your blog to drive traffic, make sales and most importantly having a loyal tribe of subscribers is PRICELESS. Last month, I was engaging with my subscribers a lot more than I usually do and I have discovered so many new amazing bloggers who have such great ideas. There are a lot of exciting things I am looking forward to in this last quarter. I have some interesting side hustles interviews and more useful freebies for my readers. I am also working towards creating another free course, which I think will be of great use to my readers. I am hoping to increase my traffic past 200,000 in the coming months. This means a lot of work on Pinterest, SEO and growing my list. Breaking the five figures this year is my new goal, and I am hoping to achieve this by December. Need to hustle hard! I am at 2,800 subscribers right now and will be working on growing it to over 3,500 by next month.